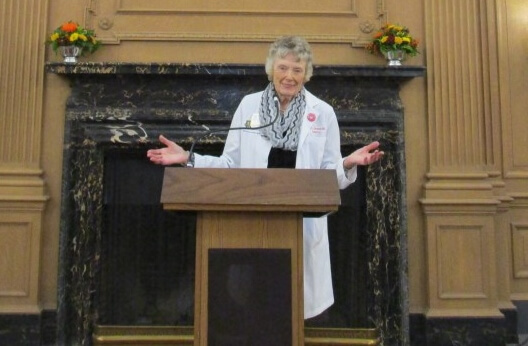 “What, no Tour again?” from A personal tour of the URMC during Meliora Weekend with Dr. Ruth Lawrence, URMS ’49. And still on the active faculty. Last year during Meliora Weekend, Dr. Ruth Lawrence kindly gave us a personal tour of the University of Rochester Medical Center. Indefensibly this year, again, there will be no public tour. To accommodate for your disappointment, we’ve chosen Meliora Weekend as the debut of Moon Dress. 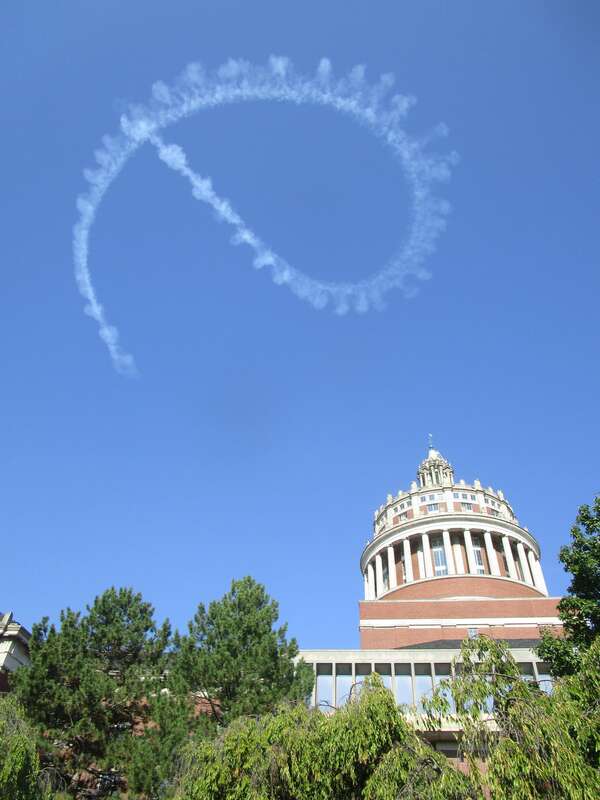 In conjunction with the University of Rochester, we advertised the moon landing in today’s bluest of blue skies. The giant “e” is the “e” in moon dress. 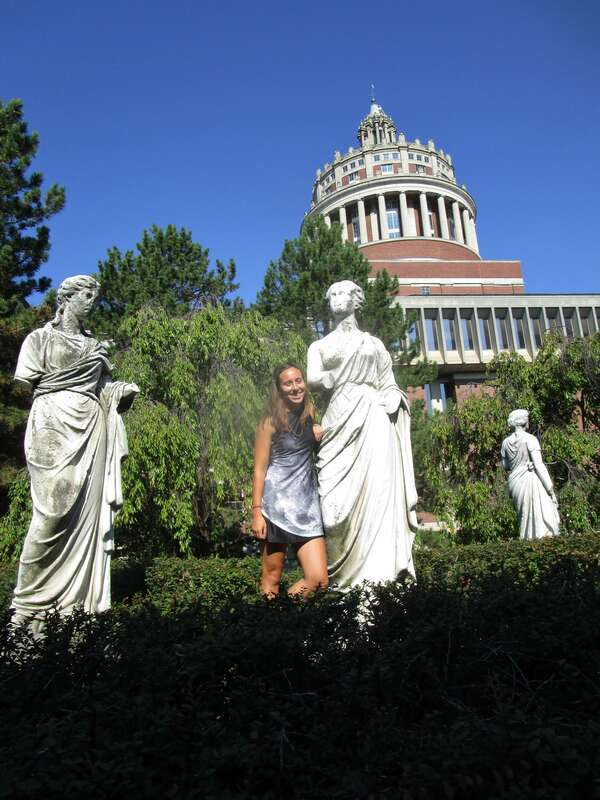 We thought it only appropriate that the inaugural Moon Dress pose be in the statue garden outside Meliora Hall. 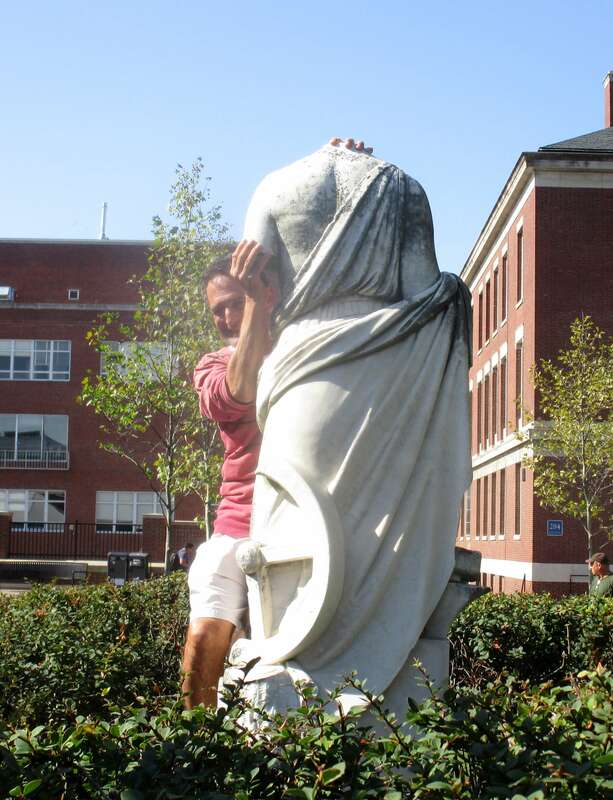 A gift of the Class of 1954, the four statues represent navigation, trade, geography, and — fittingly — astronomy. 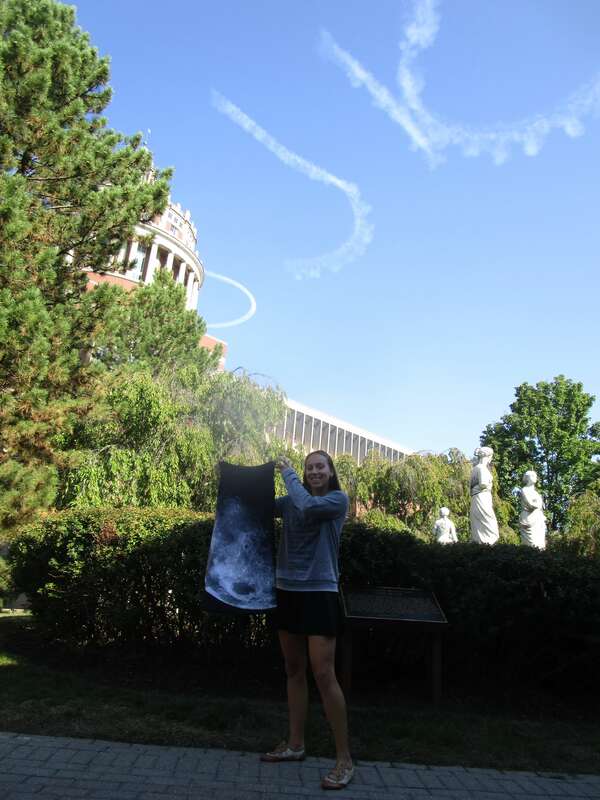 You met our lunar model in Fur is not yet dead at the University of Rochester. Rochester's "Miss Television" dies at age 100, one of James Monroe High School's oldest alums.